Is it cheesy to post two tie dye based cards within two weeks? I hope not, because I'm doing it! 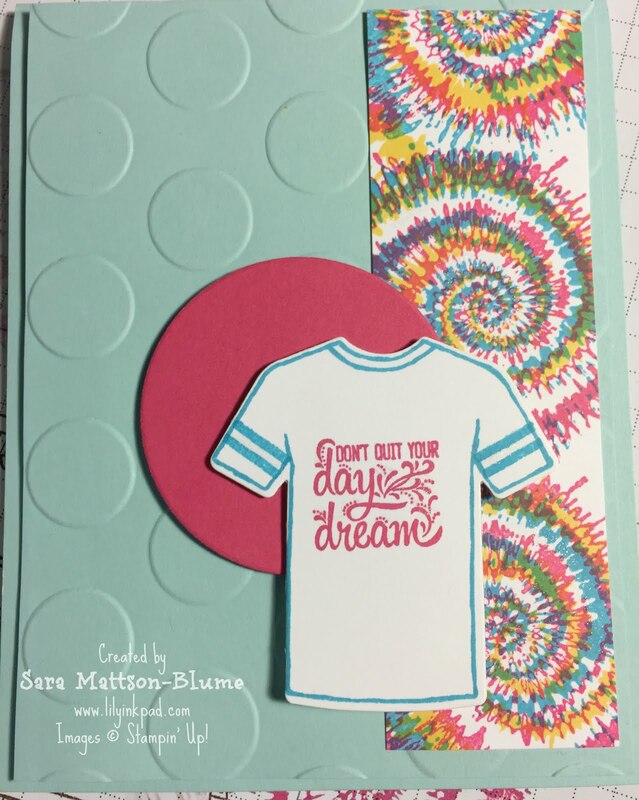 I repeated the circles design element with the embossing and the circle accent. The Tye Dye background strip was really fun and easy to create. Did I mention that it's easiest to stamp the darkest color first? 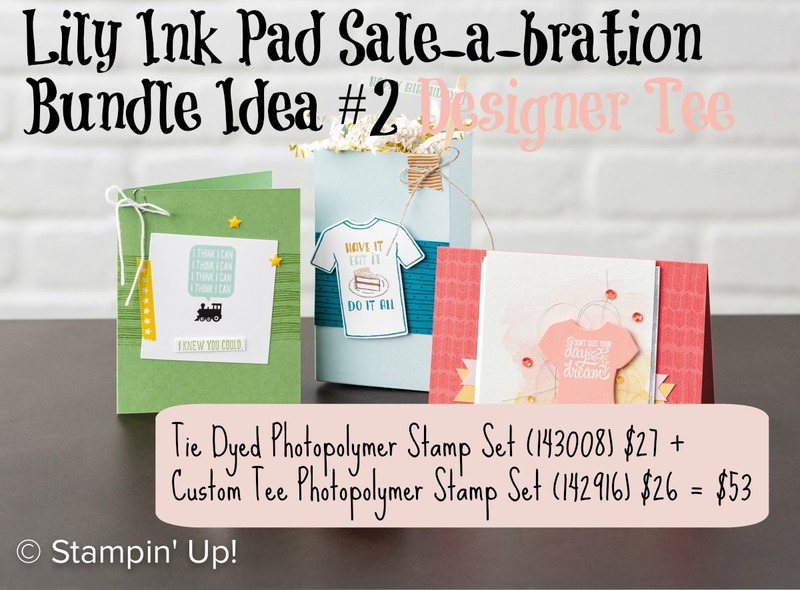 With photopolymer stamps, the darker ink impedes your view of where to place the stamp. So, I do the darkest one first, and I can see through the lighter ink where I put the darker ink. It works! I like seeing the sentiment on the T-shirt, so I kept the shirt simple. I added the sleeve stripes from the Custom Tee Photopolymer Set. For a little extra flair, I highlighted the words and the tie dye with a little Wink of Stella. For other Tie Dye Color Combinations, check out my Tie Dye Tee Post. Here's a complete list of products. So in Love with Delicate Details!